What is the ACL and what is its function? The Anterior Cruciate Ligament, or ACL, is one of the major ligaments in the knee. It runs anterior, inferior and medially from the bottom of the femur to the top of tibia. The direction and force of the ACL functions to prevent the tibia from moving forward in relation to the femur and stabilize the knee during rotational movements. The ACL does receive neural and vascular supply from the tibial nerve and geniculate artery, respectively. If you seek physical therapy in Selden, Block Chiropractic and Sports Physical Therapy is here to help. The ACL is believed to be made up of two functionally different bundles. 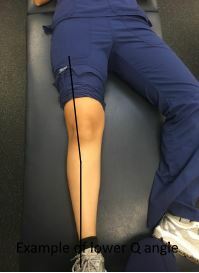 The anteromedial (AM) bundle is believed to be tauter at higher degrees of knee flexion, whereas the posterolateral (PL) bundle functions more at near extension angles. The differences in these two bundles is, however, controversial in the literature. Overall, the ACL is a crucial protector of the knee from internal rotation, hyperextension and valgus (knee-in) force. If you have suffered an ACL injury, contact our physical therapy in Smithtown for more information. If you are a fan of professional, collegiate or even high school sports, the odds you’ve seen an athlete suffer an ACL injury is high. It is estimated that nearly 84 per 100,000 American’s suffer an ACL rupture. It is more common in athletes, especially females, however it can happen to anyone with instability and weakness. Athletes involved in sports requiring high velocity cutting are at greatest risk. The most common mechanism of injury is actually non-contact internal rotation and valgus force (see below) simultaneously. If you seek physical therapy in Selden, Block Chiropractic and Sports Physical Therapy is here to help. A study performed by Joseph et al. (2013) looked at the comparison of ACL injuries in high school athletes. The authors found that overall, females were at greater risk than males. However, football had the greatest incidence – likely due to the high number of players on roster and the high contact nature of the sport. Below is an outline of the top 3 sports at risk for ACLs according to this study. You can see from the chart that, although football has the highest number, the adjusted rate for female soccer is higher. Females are generally at higher risk for ACL tear than males for various reasons. Most notably, females are anatomically different. That is, they have wider hips and a greater Q-angle. The Q-angle is the angle between the ASIS (bony prominence of the anterior pelvis), midpoint of the knee cap and tibia (shin bone). The angle is typically between 14 and 18 degrees in females. This, in combination with a wider pelvis contribute to greater valgus force risk. If you seek physical therapy in Smithtown, Block Chiropractic and Sports Physical Therapy is here to help. There are several other risk factors associated with ACL injury in both females and males. Poor quadriceps to hamstring ratio: having increased quadriceps strength with weakness in the hamstrings has been found to be correlated with increased ACL risk. Core and Hip abductor weakness: poor abdominal and gluteal strength can cause poor landing and pivoting form which create great risk for ACL injury. Ankle stiffness: a decrease in ankle dorsiflexion (toes up) can pose risk during squatting or landing; without proper ankle motion, the knee and hip begin to compensate and can put the body in faulty position and thus at risk for ACL injury. Sleep or fatigue – A decrease in sleep and overtraining can lead to fatigue. When the body is fatigued, it becomes weak and can be susceptible to faulty positions and poor proprioception and reaction. When the muscles are unable to protect the joint due to this fatigue and tiredness, this leads to increased risk. Neuromuscular deficits – Decreased proprioception (position sense) has been correlated to ACL risk. When the signals being relayed up the brain is poor, protective mechanics are weak. Therefore, the body is unable to respond and protect itself from injury. Sports Specialization – When an athlete is trained solely in one sport, only those muscle patterns are developed. Therefore, when an unanticipated action is called upon, the athlete is not trained to react. Additionally, athletes that only participate in one sport have muscle imbalances. Muscles used primarily in that sport are overdeveloped, whereas others are underdeveloped. As stated in bullet A, these muscle imbalances leave the athlete at risk. If you seek physical therapy in Smithtown, Block Chiropractic and Sports Physical Therapy is here to help. There are several other risk factors that have been studied in ACL research. It is important to note that not all are mentioned above, and even those mentioned have some controversy in the literature. It is our professional opinion that the factors listed above are some of the most important clinically. It is important to address core strength, proprioception training, ankle mobility, sleep patterns and training plans. The ACL can experience different levels of injury. Just like any ligament, it can be sprained or torn. It is important to be able to decipher between the two in clinic. If you have suffered an ACL injury, contact our physical therapy in Selden for more information. Grade I – relatively mild injury that allows the athlete to return to sport in 2-4 weeks. This is described as a stretching with minimal tearing or serious injury. With some rest, ice and manual therapy, an athlete can be back in no time. Symptoms are typically mild pain, possible swelling but good stability. Grade II – is more serious than grade I in the fact that it is typically a partial tear of the ligament. This can be a mild tear or a more severe tear. This partial tear can heal on its own with conservative treatment (ice, rest, physical therapy) but can take longer than grade I to return to sport. Return can be anywhere from 6-8 weeks or 8-12 weeks depending on severity. Symptoms are typically moderate pain levels, increased swelling, possible bruising and moderate instability. Grade III – is a complete rupture of the ACL. This typically requires surgical intervention. The ACL does not have great blood supply and would require a large amount of time heal on its own (if even possible). Symptoms are more severe with high pain levels, severe swelling and severe instability. MRIs are typically used for confirmation of tear. If you seek physical therapy in Selden, Block Chiropractic and Sports Physical Therapy is here to help. It is also important to screen for other knee injuries. Due to the nature of the ACL mechanism of injury, the medial collateral ligament, medial meniscus and lateral epicondyle of the femur may also be involved. Finally, with prolonged injury to the ACL, greater instability in the knee remains which leaves an individual at high risk for osteoarthritis. If a complete rupture of the ACL is present, it is likely that surgical intervention will be discussed. There are multiple options supported in the research. Depending on doctor preference and patient goals, the proper reconstruction is determined. The reconstruction can be taken from the individuals own body (autograft) or from a cadaver (allograft). Recent research supports minimal differences in outcomes from autograft and allograft. If you have suffered an ACL injury, contact our physical therapy in Smithtown for more information. If an autograft is chosen, the individuals patellar tendon or hamstring tendons are the most commonly used replacements. Each have their own benefits, which I have outlined below. Increased failure rate compared to above. There are also advantages and disadvantages of allograft use. When it comes to post operative rehabilitation, doctors will use different protocols. Some will move faster than others, while others will be more conservative depending on factors such as severity of injury, integrity of tissue, patient goals, patient comorbidities, etc. Despite differences, these protocols follow the same general progressions and allow for the physical therapist to progress as appropriate milestones are reached. Below I will outline approximate milestones and progressions – however, it is important to note that protocols and progressions can differ from this. If you seek physical therapy in Smithtown, Block Chiropractic and Sports Physical Therapy is here to help. If hamstring graft is used – there will be a delay in hamstring stretching and strengthening for ~6 weeks. Extension is more important early in rehabilitation. In our clinic, we stress extension before flexion because extension is more difficult to gain when fibrosis occurs. Open chain knee extension exercises (long arc quads, knee extension machine at gym) leave ACL at risk and are typically avoided in our ACL programs. Single-Leg Hop Test (for distance) – The patient will hop straight forward on one leg as far as they can. The sides will be compared. The test is considered passed when the surgical leg is within 80-90% strength of the uninvolved leg with adequate landing and stability. Single-Leg Triple Hop (for distance) – Similar to Single-Leg Hop Test, except now the athlete hops three times. They jump forward, gain their balance and jump again using same limb. The test is considered passed when the surgical leg is within 80-90% strength of the uninvolved leg with adequate landing and stability. 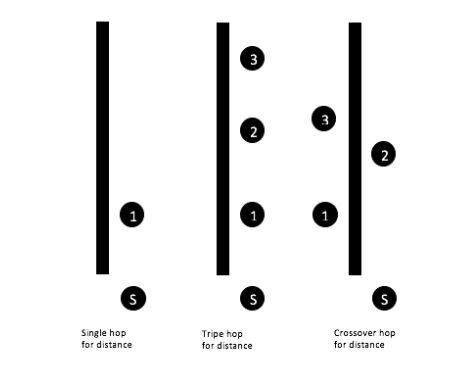 Crossover Hop (for distance) – Also similar to the Triple Hop test, however, instead of jumping straight forward, the athlete will jump over a center line with each jump. The test is considered passed when the surgical leg is within 80-90% strength of the uninvolved leg with adequate landing and stability. The hopping tests (1-3 above) are performed for 3 trials, with the average of three trials counting. In order for a trial to count, the athlete must hold the landing for 2 seconds, avoid opposite leg or arm to touch the ground, have no extra hop and no loss of balance. If you have suffered an ACL injury, contact our physical therapy in Selden for more information. Landing mechanics – an ACL is highly susceptible to injury during the landing process in sport. Therefore, it is important to test these mechanics prior to returning to sport. 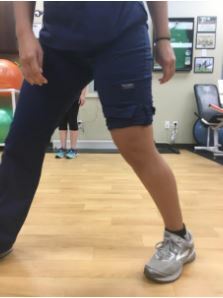 Specifically, we are looking at equal weight bearing and good hip abductor strength to minimize genu valgum (knees together) and excessive foot pronation (foot flat). If proper landing mechanics are observed, test is cleared. Functional Movement Screen (FMS) – The FMS targets 7 movements and will demonstrate underlying strength or mobility deficits that will leave the athlete susceptible to injury. Each movement is scored and the tester is provided a score. Based off the scoring, a program is created to help improve score. See our Smithtown or Selden clinics to learn about the 7 movements and how the FMS screen can help you or your athlete. Fear Avoidance Belief Questionnaire (FABQ) – a subjective outcome measure that asks the patient a series of questions. Questions are rated 0-6 with 0 representing “completely disagree” and 6 being “completely agree.” A higher score will indicate the patient has greater fear. Then there is fear during sport or work, movement patterns may be altered to try and anticipate. When movements are altered and compensations are present, risk for injury increases. Therefore, looking at a patients’ fear is important in ACL rehabilitation. It is important to note that these tests will not be implemented if the patient continues to have significant pain, decreased muscle strength or decreased motion. There are several ways that the physical therapists and chiropractors in our Smithtown, NY and Selden, NY clinics can help – after injury but more importantly before! Firstly, our therapists are HIGHLY experienced in progressing patients through physician protocols. These protocols were outlined above and can certainly vary. 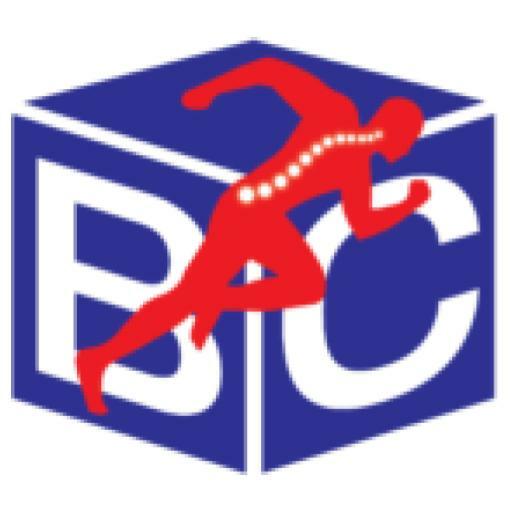 We know when an individual can be progressed slightly faster or when a slower progression needs to be taken. Additionally, there are several manual techniques we use during rehabilitation to help with pain modulation, joint motion and soft tissue mobility. 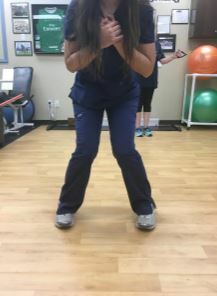 Our physical therapists are trained in soft tissue massage, patellar (knee cap) and other joint mobilizations for the knee, skilled passive range of motion and progression of therapeutic exercises and neuromuscular reeducation. Our therapists are well trained in return-to-sport testing (mentioned above) to successfully return the athlete to sport. Our chiropractors are certified in several manual techniques as well, to help with soft tissue tightness and joint mobility. It is important with ACL injury to make sure all core joints are moving correctly to protect the knee and ACL and prevent reinjury after successful rehab. For example, the thoracic and lumbar spine must rotate and adjust to stress efficiently to allow for proper knee recruitment and protection. If you have suffered an ACL injury, contact our physical therapy in Selden for more information. Additionally, we believe in what we call “prehabilitation” or “prehab.” This is therapy before surgery to help improve muscle strength, increase range of motion and mentally prepare you for post-surgical rehab. The body will shut down and change chemically to protect your knee after surgery. The stronger and more mobile you can be prior to the cut, the better the outcomes. This also helps the patient mentally prepare for post-op rehab by understanding what interventions will be used and what tasks will be asked. MORE IMPORTANTLY, we highly highly highly encourage INJURY PREVENTION programs to all athletes, especially females. There are several preventative program supported in research that our physical therapists have implemented. Ron Masone DPT has been in the business for 13+ years and has treated several local collegiate athletes. He is certified in Graston Technique®, a form of instrument assisted soft tissue mobilization. Dereck Silverman, DPT has utilized the 11+ program with a soccer team he coached. This program is a 15-20-minute dynamic warm up program that addresses flexibility, strength, agility, proprioception and more in female soccer players to help decrease the risk of ACL injury. Shannon Jones, DPT did a clinical rotation at the Cincinnati Sports Medicine and Orthopedic Center (CSMOC) in Cincinnati, OH which is the home to Dr. Frank Noyes, the main founder of the SportsmetricsTM program. Sportsmetrics TM takes a more sports-specific approach that implements jumping, landing, hopping and plyometric exercises to help prevent injury across different sports. That being said, there are more than just these two programs that can be used to assist in preventing risk for ACL injury. It is very important for all young and old athletes to use some program to help keep their high level athletes in the game. If you have suffered an ACL injury, contact our physical therapy in Smithtown for more information. Finally, the last thing you can do for your athlete is let them play more than one sport. We understand that many believe that sports specialization early will help their athlete get a scholarship and/or a professional contract. However, sports specialization can actually leave your athlete more susceptible to injury. Not only does it leave the athlete at risk for overuse injury, but also the athlete only develops neuro pathways specific to that sport. Without training several different pathways and patterns, the athlete cannot react well to unanticipated situations in sport, leaving them high and dry for injury – especially the non-impact turning injury such as ACL tear. In conclusion, both our chiropractic and physical therapy departments can help your athlete either prevent or recover from ACL injury. Our chiropractors have been sports medicine doctors in several local colleges helping athletes recover and prevent injury, while our physical therapists have all trained through prevention programs in their division I programs and have great experience implementing them to their athlete clientele. Please stop by one of our Block Chiropractic and Sports Physical Therapy locations in Smithtown, NY and Selden, NY. We are willing to travel and meet with your sports teams to begin a prevention program. If you seek physical therapy in Selden, or physical therapy in Smithtown, Block Chiropractic and Sports Physical Therapy is here to help. Contact us for more information and learn how we can help get you back in the game.